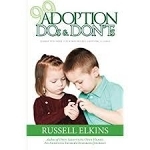 It's estimated that two thirds of people are connected to adoption in one way or another, but that doesn't mean they know what to expect when they decide to adopt. Many people start the adoption process blindly, thinking they will figure it out, but that's a terrible way to navigate, especially since the well being of a child is on the line. There are countless things people should know before adopting. This book boils it down to the most important ninety-nine things they should do, and things they shouldn't.